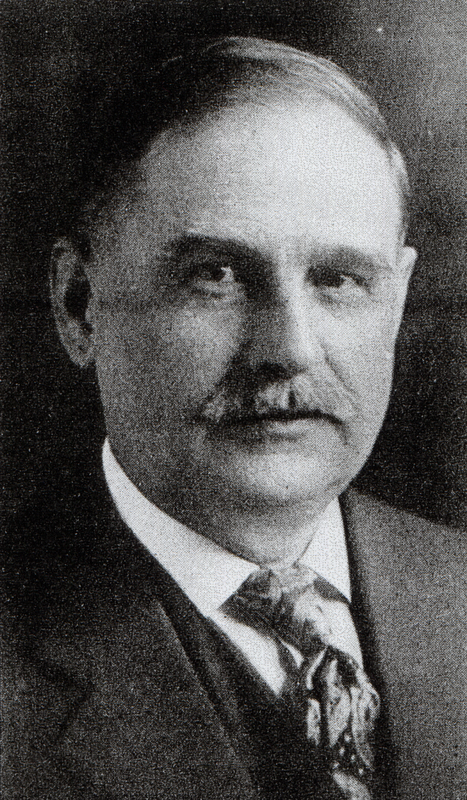 Henry Hutchins Hardinge's short-lived Ogden Rowotype (1912-1914) was particularly aimed by the inventor at small town US newspapers and printers. It offered them the dual economic advantage of employing an ordinary standard typewriter, which could easily be removed from the competitively-priced, small and simply operated line slug-caster machine to be used in the more conventional manner. The almost certain exclusive use of the Ogden Rowotype, however, was at the Advance Type Foundry in Chicago, owned by Hardinge and his then business partner, the noted engraver and type designer Robert Wiebking. One strong clue comes in the use of the ATF's Craftsman font (later called Artcraft), designed by Wiebking in 1912, in 1913 advertising for both the ATF and the Rowotype. "The Rowotype is a matrix-composing machine in which there are as many sets or banks of matrix-bars as there are different characters carried by the machine, at present 84, and all of the banks contain several matrices bearing the same character, there being as many of each character as can be required for the setting of a line. The matrices are plain and are attached to the upper and inner ends of the matrix-bars. These bars are hinged at their lower or outer ends, the hinges being concentric with the central and assembling position. There are two concentric arcs of the matrix-bars, one arc on each side of the machine. When the matrix-bars are released, they drop by gravity, turning about the hinges, and the matrices enter the composing-race at the centre of the machine. The matrix-bar escapements are electrically operated through covered wires formed into a cable and carried to 85 contact-points at the front of the machine. In front of these 85 points is fixed a standard shift-key typewriter, and each key depression of the typewriter made when the operator fingers the keyboard causes the depression of a corresponding matrix or spacer. The operator can insert paper in the typewriter and obtain a typewritten copy as the composition proceeds. 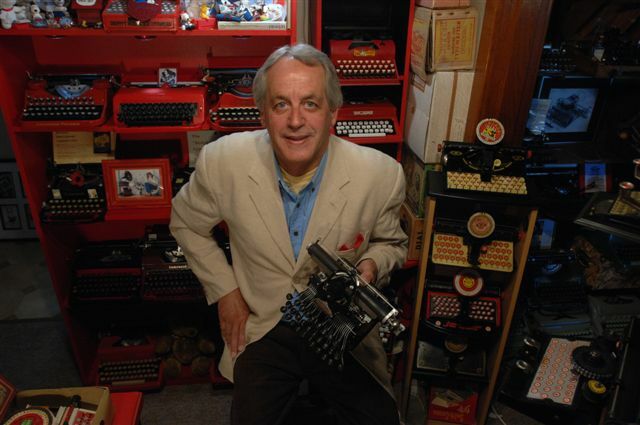 The typewriter can, moreover, be removed for use as a typewriter and readily replaced. The line of matrices is assembled in a vertical position, and the slug is cast in the same position as the matrices stand, that is to say, reading from the bottom to the top of the fine. The justification is effected by means of pairs of space-wedges dropped between the matrices at the end of each word. Cut-outs prevent the machine from starting if overset or underset. The machine locks and justifies the line of matrices at the place of assembly, consequently the time of transfer is not lost by the matrices, but, as in the case of the Typograph, it is necessary for the whole of the casting operation to be completed and the matrices returned to their initial position before the operator can proceed with the composition of a second line. The Rowotype occupies between five and six square feet of floor-space." John Raphael Rogers's Typograph, with which the Rowotype was often compared. Hardinge first applied for a patent for his typecasting machine in his native Canada on July 5, 1909, and it was duly issued on January 25, 1910, assigned to Wiebking, Hardinge & Company, owners of the Advance Type Foundry (for Hardinge's close working relationship with Wiebking, see below). Later that same year, on December 23, Hardinge applied for a US patent for a modified version of this machine. One report claims the Rowotype was patented in Britain but not the US, and this may be partially true, in that the design with regard to the keyboard, at least, had presumably changed. Certainly an application for the modified version, assigned to the Ogden Rowotype Company, was made to the Canadian Patent Office on January 12, 1914, and issued on May 5. By then, however, the Chicago company making the Rowotype was already three months into bankruptcy proceedings. One report says the electromagnetic switching system of the receiving machine had not proved reliable. It is not known for certain who or what the Ogden behind this original operation was, but the name might have been linked to Ogden Avenue and through it to the Wiebking, Hardinge & Company. 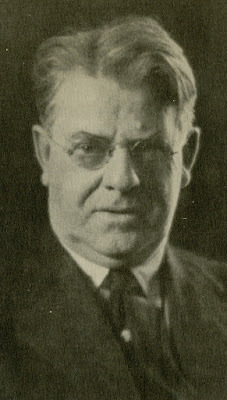 The name Ogden Rowotype was established by at least September 1912. 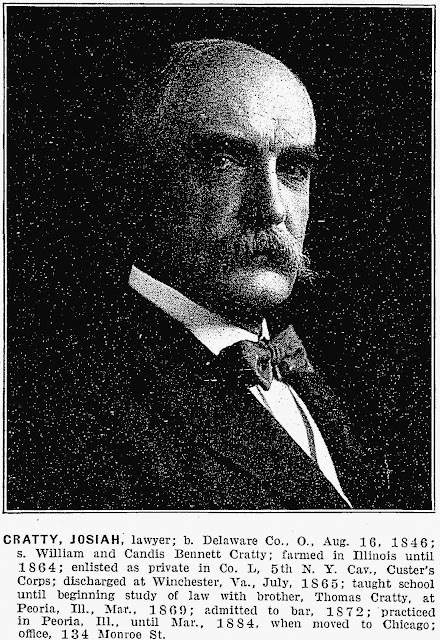 On March 9, 1915, however, a US patent issued to Hardinge was assigned to prominent Chicago attorney and businessman Josiah Cratty (1846-1915). Cratty died on August 11, which no doubt explains why this fascinating project pretty much ended there and then. 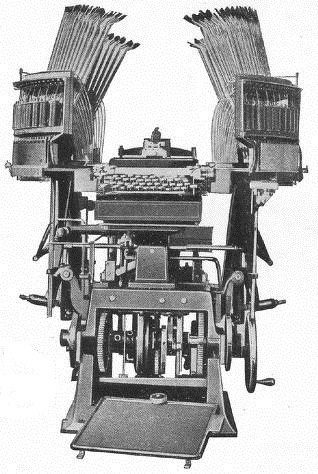 The 1914-15 US and Canadian patents show a keyboard component very like a typewriter, but with seven banks and not the same type lever arrangement as on a typewriter (the image of the Rowotype clearly shows four banks). It seems changes may have been planned to the machine which had been produced in Chicago in 1912-13. The Ogden Rowotype company filed a charter in Delaware in August 1913. On July 23, 1890, mechanical engineer Henry Hutchins Hardinge and his brother Franklin Hardinge (1867-1945), the sons of Frederick Yorke Hardinge (1837-98), founded the company now known as Hardinge Group, which remains one of the world's major precision machine tool manufacturers, with global headquarters in Elmira, New York. Hardinge is best known for its lathes. Henry was born on May 7, 1863, in Warkworth, Ontario, and died aged 82, on February 23, 1946, in Evanston, Illinois. 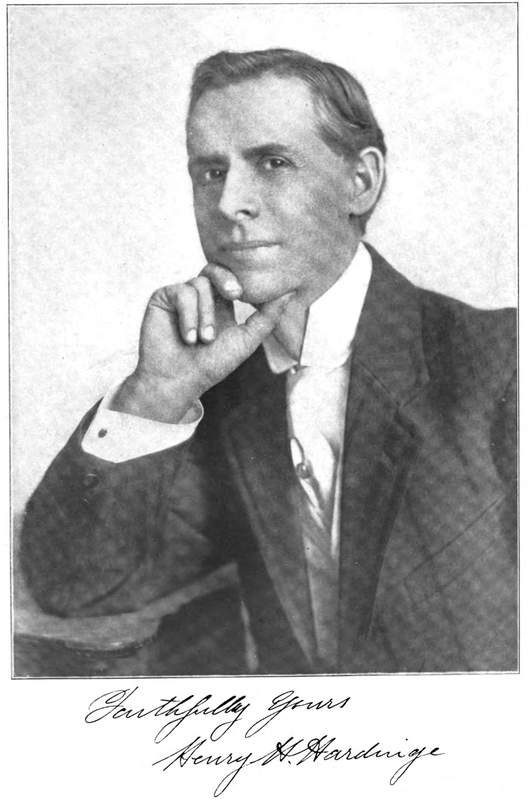 In 1894 Henry Hardinge began collaborating with Robert Wiebking (above, 1870–1927), the German-born engraver and typeface designer who is best known for cutting type matrices for Frederic William Goudy from 1911 to 1926. Wiebking emigrated to Chicago in 1881, where his father worked as an engraver, including for the Marder, Luse & Co type foundry. Wiebking himself went to work C. H. Hanson, an engraving company. By 1893 he was in business for himself, cutting type matrices for both the Crescent and Independent Type Foundries. 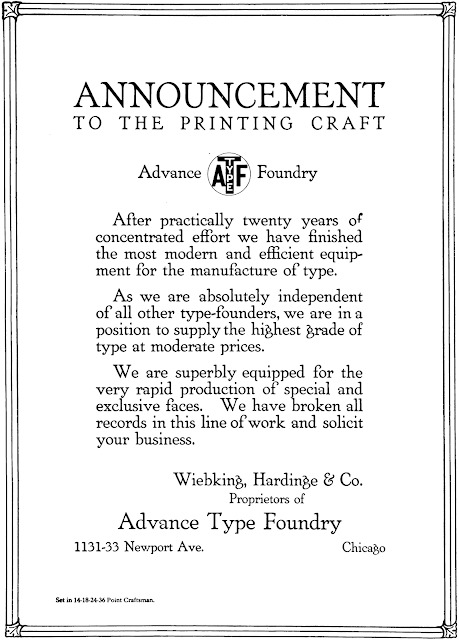 In 1896, he and Hardinge formed Wiebking, Hardinge & Company, which ran the Advance Type Foundry. In 1914 the partnership was dissolved and Advance merged with the Western Type Foundry. After Western Foundry merged into Barnhart Brothers & Spindler, Wiebking again began working for himself. He then designed type and cut matrices for many foundries and, from 1911 to 1926 (with a few exceptions) he cut all of the matrices for Goudy's designs. He taught both Goudy and Robert Hunter Middleton how to cut matrices. In 1909 Hardinge was said to be capable of building "practicable engines so small that you could weigh them on a letter scale, and others so large that a sideshow giant could walk through the cylinder without bending his body or touching his head. He has bored a tiny hole lengthwise through a bar of steel of a diameter of only 75-ten thousandths of an inch, has then split the bar into three sections and having ground the hole with diamond dust so as to make it central, round and true, has finally put the sections together again, therefore making a commercially perfect tube of a diameter equal to about three hairs of the human head. It may well be believed that work like this, for commercial purposes, requires extreme patience, exquisite precision, marvellous skill and the ability incidentally to dream out and to work out both fairy-like and gigantic mechanical implements. "He has for the past 10 years been engaged, in collaboration with Robert Wiebking, an engraver, upon inventions calculated to revolutionise the manufacture of printers' types. This art, underlying what old printers like to call 'the art preservative of all arts', is particularly exacting. Of all the implements of the printer, types rank first for indispensability, perishability and cost; and their production, delicate and difficult even in its secondary processes, demands microscopic accuracy in the primary work of matrix-making. 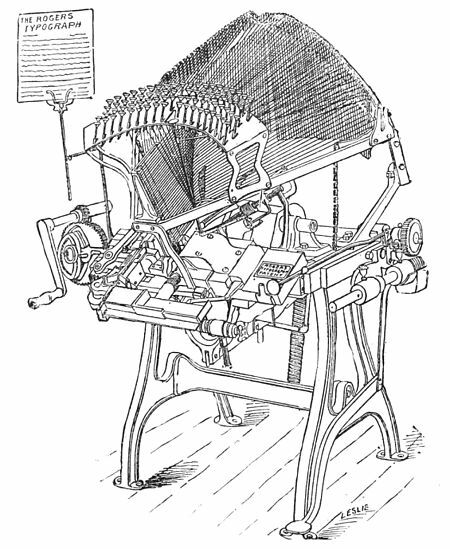 Almost any one acquainted with printing may guess the difficulties of revolutionising this industry by radical invention, but only a type founder thoroughly familiar with the art can have an adequate idea of the magnitude of the task, now accomplished by Mr Hardinge and his collaborator, so many and varied were the nice technical problems involved and so intricate their relations to one another." Hardinge's work on the line slug-caster was concentrated between 1907 and 1911. He had learned his engineering skills as a seven-year machinist apprentice with the John Abell Company of Woodbridge, Ontario, making portable engines and farm threshing devices, while his brother Franklin entered the watchmaking business in Toronto. The brothers later teamed up in Chicago, making watchmakers' tools. They found a backer in the form of Irish-born jeweller Stephen Austin Dale (1844-) and founded a firm known as the Horological Tool Company. Quite a contraption. I've never seen anything like it. I admire his inventiveness. That is an amazing gadget!